A Facebook post by Old Economy Village last week about an art exhibition in New York intrigued me, and I did a little online research. OEV posted links to articles in The New York Times and Forbes about the work of woodcarver Francis Cape. Cape researched and recreated benches from about a dozen “utopian” groups, including Ephrata Cloister and the Harmony Society (OEV was their third and final home). The exhibit, “Utopian Benches,” has been touring the country and is currently on view at the Museum of Art and Design and the Murray Guy gallery in NYC; images of the exhibit as installed at Arcadia University in 2011 are here. There is also a new book by Cape, We Sit Together: Utopian Benches from the Shakers to the Separatists of Zoar, available from Princeton Architectural Press. I think it would be wonderful if it sparks folks to see and learn more about the communities these benches came from. As part of the commemoration of the 250th anniversary of the Battle of Bushy Run, a new monument will be dedicated on Saturday, Aug. 3, at 11:00 am at Bushy Run Battlefield. The monument honors Native Americans, Highlanders, and frontier rangers who were involved in the 1763 battle, which was part of Pontiac’s Rebellion. The monument was designed by painters Robert Griffing and John Buxton and bronze sculptor Wayne Hyde. The Bushy Run Battlefield Heritage Society, which operates the site in partnership with PHMC, raised the funds for the monument. (We should be able to share a photo after the official unveiling.) For a full schedule of events for Aug. 2-4, click here. Have a wonderful and artful weekend (art being very subjective and so it's really whatever it means to you and I wouldn't dream of dictating that to you but just hope that you have a good weekend)! Speaking of hot, Scranton’s Keystone College has been awarded a $25,000 grant from the National Endowment for the Arts Our Town program. The grant will support their efforts to teach local students the art and science of working with molten iron—they are a key partner in the Arts on Fire Festival at the Scranton Iron Furnaces. You can read more about the grant award here. “Through Our Town, the NEA supports creative placemaking projects that help transform communities into lively, beautiful, and sustainable places with the arts at their core. Projects encourage creative activity, develop community identity and a sense of place, and help revitalize local economies. All Our Town grant awards are made to partnerships that consist of at least one nonprofit organization and a local government entity.” Congratulations to Keystone College and their partners on this grant. There was some nice press recently for Pennsbury Manor’s Colonial Camp program (click here). Last I heard there were still a few spaces available for Old Economy Village’s history camp, being held the next two weeks (go here for details). Oliver Hazard Perry (aka Joe Lengieza, Flagship Niagara League’s Marine Operations Manager) threw out the first pitch at the Erie Seawolves game on July 12. The players wore special “Don’t Give Up the Ship” jerseys that were to be auctioned to benefit Flagship Niagara (read more about that here or like Flagship Niagara’s Facebook page to see photos). This is the 2013 season’s third (that I know of) intersection between minor league baseball and Trails of History sites—on July 12 the Wilmington Blue Rocks game benefitted Brandywine Battlefield, and Eckley Miners’ Village was featured at a Scranton/Wilkes-Barre RailRiders game on June 11 (see photos here). Ephrata Cloister: Family Picnic Fun Raiser, Sun. July 21, 4-8 pm; performance by Steven Courtney and the Suitcase Band, 6:30. $5 per family. Graeme Park: Celtic Heritage Festival, Sat., July 20, 10 am-7 pm, Sun., July 21, Noon-6 pm. Age 13-17, $5 per day; Age 18+, $10 per day. Pennsbury Manor: Preserving the Harvest (open hearth cooking demonstration), Sun., July 21, 1-4 pm. Included in regular admission. I’ve been keeping a list of items the last couple of weeks and now those items have coalesced into a post, as they will do. The first two on the agenda are publications projects that have received awards from national organizations. The Civil War in Pennsylvania: A Photographic History, which features many images not previously published, has received an Award of Merit from the American Association for State and Local History’s (AASLH) 2013 Leadership in History program. The book, by Michael G. Kraus, David M. Neville, and Kenneth C. Turner, was published by the Senator John Heinz History Center as part of Pennsylvania Civil War 150 (whose other partner organizations include PHMC, the Pennsylvania Heritage Foundation, and the Historical Society of Pennsylvania). It was one of only two entries from Pennsylvania to receive AASLH awards this year. As luck would have it you can purchase it at shopPAheritage.com. Entered alongside other Scholarly Journals from organizations with budgets less than $750,000, Drake Well Museum’s Oilfield Journal has received an honorable mention from the American Alliance of Museums (AAM) Publications Design Competition for 2013. Drake Well was one of only two Pennsylvania awardees in that budget range and (based on a quick scan of the list) one of only a handful of history museums/historic sites among all prize winners (and I'm not the only person who noticed this). This is not Oilfield Journal’s first recognition from AAM—in fact, it’s a three-peat (previous wins were in 2008 and 2010). Hearty congratulations to everyone involved with this excellent publication. During the last week of June, a crew from the British Broadcasting Company (BBC) was on site at Washington Crossing Historic Park filming for a two-part documentary by British broadcaster and writer Melvyn Bragg. The documentary, Melvyn Bragg’s Radical Lives, will explore the revolutionary thinking of Thomas Paine and John Ball. You can read more about the Washington Crossing filming, which was focused on Mr. Paine, here. No airdate for BBC2 has been announced, and it is unclear whether it will make its way to BBC America, but we’ll keep you posted. MTV personality Lenay Dunn (she hosts 10 on Top, a celebrity/pop culture countdown--and yes, I had to Google it) recently visited Pennsbury Manor to film a segment called “Summer Jobs” where volunteer coordinator Hannah Howard outfitted her in period clothing and taught her various 17th-century chores, and curator Todd Galle demonstrated beer brewing. If you had told me four years ago, when Trailheads started, that I would EVER write a sentence that combined “MTV” and “Pennsbury,” I would have said you were seriously wacko. But here we are. We’ll try to share info on when it airs so you can catch it (or DVR it or look for it online—whatevs). “Red sky at night, sailor’s delight. Red sky at morning, sailors take warning.” Heard it? When meteorologist Ray Petelin of Pittsburgh’s WTAE-4 explored the weather science and history behind this well-known saying, he featured the Erie Maritime Museum and Flagship Niagara. It’s really a fun piece and includes Capt. Wes Heerssen talking about modern shipboard weather forecasting and his take on the old saying (spoiler alert: it’s true). Watch it here. But first, a brief bureaucratic interruption—State Civil Service Commission lists for Museum Registrars (2013-058) and Archivists (2013-005) are currently open. Positions are filled from these lists (the test announcements include some details about anticipated positions). Information on the SCSC process is here. I hope you had a fun and festive Fourth of July and are now geared up for the month ahead. The Trails of History are awash in activity this summer—so come on down and join in. July 16-19: A Journey through Time: Looking Back on Coal, Canals, and Railroads—Anthracite Heritage Museum summer day camp for kids ages 7-12. Fee charged and registration is required; go here for details. Through August 9: Summer History Camp—spots are still available for most weeks (7/15-19 is full). Go here for details. July 12: Brandywine Battlefield fundraiser—enjoy Blue Rocks Baseball (Wilmington, Delaware) and support the battlefield. Chadds Ford Business Association is sponsoring this event, and the Recca Foundation will match your $20 ticket donation. Go here for details. July 14: Annual 5K Trail Run/Walk—Bushy Run is the site for this annual event benefitting the Penn-Trafford Area Recreation Commission (PTARC); go here for info. July 28: 3rd Annual Classic Car Cruise—first 200 cars receive a dash plaque. Contact the site, 724/527-5584, for details. 11 am-4 pm. July 7: Patriotic Concert in the Park—this annual event honoring all military veterans features a concert by the Ringgold Band (formed in 1852, one of the oldest community bands in the U.S.). Admission and parking are free, contributions are gratefully accepted. Womelsdorf Fire Company will have food for sale starting at noon and the concert starts at 1:30; please bring your own chairs or picnic blankets. July 14: Weiser Interpretive Sunday—enjoy a summer afternoon at the homestead learning about life in the Tulpehocken. Noon-4 pm. July 7, 14, 21, 28: Interpretive Sundays—spend summer Sunday afternoons learning about 18th-century crafts, trades, and activities. Included in regular admission. Noon-4 pm. July 10, 17, 24, 31: Sawmill Operation Days—subject to staff availability, there will be two half-hour demos of the reconstructed sawmill on Wednesdays in July. Call 610/582-4900 to confirm. Demos are free, admission fees apply for guided and self-guided tours of the historic area. 11 am and 2 pm. July 16-18: History Day Camp—participants will learn about the kinds of things Daniel Boone did as a child growing up in the Oley Valley. Camp is designed for kids entering grades 3-6; space is limited and pre-registration is required. July 24 and 31: Junior History Workshop—These hands-on workshops for kids entering grades 3-6 teach about Hearth Cooking (July 24) and Camp & Native American Cooking (July 31); space is limited and pre-registration is required. You can download a registration brochure for History Day Camp and Junior History Workshop here. Saturdays and Sundays: Historic Pithole Open, 10 am-4 pm. UPDATE: Previous map link was INCORRECT (well, the link was correct, but the map wasn't). Try this instead, be sure you look at the location of Pithole Historic Site (thanks to the folks at Drake Well for the save). 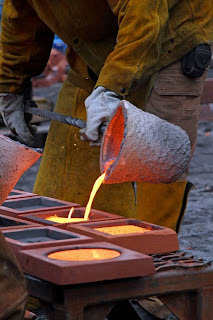 July 27: Blacksmith Demonstrations—monthly demonstrations take place the last Saturday of the month through October. Included in regular admission. 9 am-2 pm. July 27-28: 1940s Weekend—learn about wartime on the homefront and in the military, circa 1944. Military and civilian reenactors will be on site; Holocaust survivor Severin Fayerman will share his experiences. A swing-era USO Dance will be held off-site the evening of July 27. For more information, go here. 10 am-5 pm (dance is at 6:30). July 21: Family Picnic Fun Raiser—bring a blanket or chair, the family, and your taste for fun. There will be hot dogs, popcorn, snow cones, etc. for sale, and games to entertain. Details are here. Admission is $5 per family. 4-8 pm. July 22: 2nd Annual Flagship Niagara Golf Tournament—more details here. Note on Facebook says it’s almost sold out as of July 3. July 14: Summer Sunday at the Fort—living history program included in regular museum admission. The Plymouth (Michigan) Fife and Drum Corps will begin playing at 1 pm on the city side of Point State Park and conclude at the museum. 10 am-5 pm. July 20-21: 17th Annual Celtic Heritage Festival—music, food, vendors, bagpipes and more to celebrate the Keith, Graeme, and Fergusson heritage of the site. For photos of previous festivals and updates on the entertainment schedule, go here. July 24-26: History Camp—designed for elementary age students, this program takes place in the morning. Enrollment is limited; please register by July 22. Go here for details. July 14: Summer Afternoon Social—enjoy food, crafts, wagon rides, and more; plenty for the whole family. More details here. Noon-5 pm. July 14-February 2014: “I Thee Wed: Rural Pennsylvania Wedding Attire, 1830-1930”—this new temporary exhibit includes 15 wedding gowns plus other clothing, and explores the evolution of the “country wedding.” Included in regular admission. July 27-28: Civil War Days—the site is transformed into a rural Pennsylvania village in 1863, with reenactors portraying soldiers and civilians. Ages 12-64, $12; Ages 65+, $10; Ages 6-11, $8; Ages 5 and under, free. 10 am-4 pm. July 6: Antique Car Show—pre-1950s antique cars will be on display around the village, along with food, games, entertainment, and artisans. Free admission. You can register your car by calling 724/266-4500 x 113. 10 am-4 pm. July 22-26 and July 29-August 2: A Printer, A Baker, A History Maker—this interactive summer history camp invites kids ages 6-12 to explore the village with the help of volunteer artisans and demonstrators. For details and registration form, go here. July 28: Rediscovering Peace Church—there will be Civil War reenactors and refreshments, music, a talk on the history of the church, and a tour of St. John’s Cemetery. 3 pm (cemetery tour at 4 pm). July 7: Historic Trades—the blacksmith and the joyner will be demonstrating their skills with iron and wood. Included in regular admission. 1-4 pm. July 8-12 and 15-19: Colonial Camp—each week-long camp provides hands-on learning as students explore life in the 17th century. Camp is open to children who have completed 1st through 6th grade. You’ll find the camp brochure here. July 14: Living History Theater—“Boundary Battle” explores the dispute between William Penn and Lord Baltimore over the boundary between Pennsylvania and Maryland. Included in regular admission. 1-4 pm. July 21: Open Hearth Cooking—although winter seems a long way away, the cooks will be starting to preserve some of the summer bounty for use during the cold weather that will surely come. Included in regular admission. 1-4 pm. July 28: Garden Highlights—spend some time in the kitchen garden and see what the gardeners are up to (they’ll even let you help). Included in regular admission. 1-4 pm. 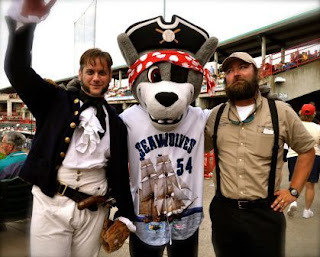 July 6-7: 39th Annual Bark Peelers’ Convention—this hugely popular event recreates the 4th of July celebrations of Pennsylvania’s early 20th-century lumber camp workers and “woodhicks.” For more info and event schedule, go here. July 5: Registration deadline for Boot Camp for Kids—camp takes place August 3 and is open to boys and girls ages 8 to 13; go here for details and registration info. July 20-21: VIETNAM Revisited—living historians portray American combat and support troops “in country” in the late 1960s; visitors have the opportunity to accompany squads on short range patrols (closed shoes and long pants recommended if you plan to participate in these demos). 10 am-4 pm (tactical demo at 2 pm each day). July 2-7: Reading Railroad Days—offered in conjunction with the Reading Company Technical & Historical Society, this program features an enormous HO-scale model railroad and highlights Reading Company rolling stock in the Museum’s collection. Included in regular museum admission, go here for more info. Fridays in July: Learn at Lunchtime—admission is free every Friday between 11 a.m. and 1:30 p.m.; free docent tours at 12:15 p.m. and 1 p.m. (continues through Aug. 31). July 9 or 10: Native American Day Camps—pick either Tuesday or Wednesday morning; designed for kids 7 to 10 years old; call 717/772-6997 for reservations. July 11-August 15: StoryTime in Curiosity Connection—on Thursday mornings, children ages 3-5 can enjoy a story, followed by a related activity or gallery visit. Included in museum admission. 10 am. July 16, 17, or 18: Mammals of Pennsylvania Day Camps—also for kids ages 7-10; pick one of the three mornings; reservations can be made by calling 717/772-6997. July 19: 3rd in the Burg—Lancaster County artist Sue Reno will be on hand to talk about her quilt, “Silk Mill #3,” which was recently awarded a State Museum Purchase Prize in the Art of the State Exhibition (which continues through Sept. 8). Program is free. 6:30 pm. Congratulations to Cornwall Iron Furnace on being named Best Historic Attraction in the Lebanon Valley (you can read more here). Even though it’s hot and muggy this week, I can’t seem to wrap my head around the whole month of July just yet. So here’s what’s happening July 1-5 (stand by for the full July preview this Friday). Most sites on the Trails of History will be open on July 4, but there are exceptions, so please check ahead. You can find a list of open sites here. I hope that you have a safe and happy day of enjoying family and friends and celebrating our national birthday. If you’re headed to Gettysburg over the next few days, I’ll echo what I heard on the radio earlier this week—Park your car and take the shuttle. This also seems like an appropriate time to remind you that Trails of History sites are, from Memorial Day to Labor Day, Blue Star Museums, offering free regular admission to active duty military members and their families. In fact, we offer it the rest of the year as well but are proud to participate in the Blue Star Museums program, along with nearly 2,000 museums nationwide. July 4: Independence Day Program—learn about the different kinds of military troops that fought the American Revolution, drill with the local militia, tour the Boone house, watch blacksmith demonstrations, and more. Light refreshments will be available, but you can also bring a picnic. Admission is $4 for ages 4-12, $6 for anyone 13 and older. 10 am-4 pm. 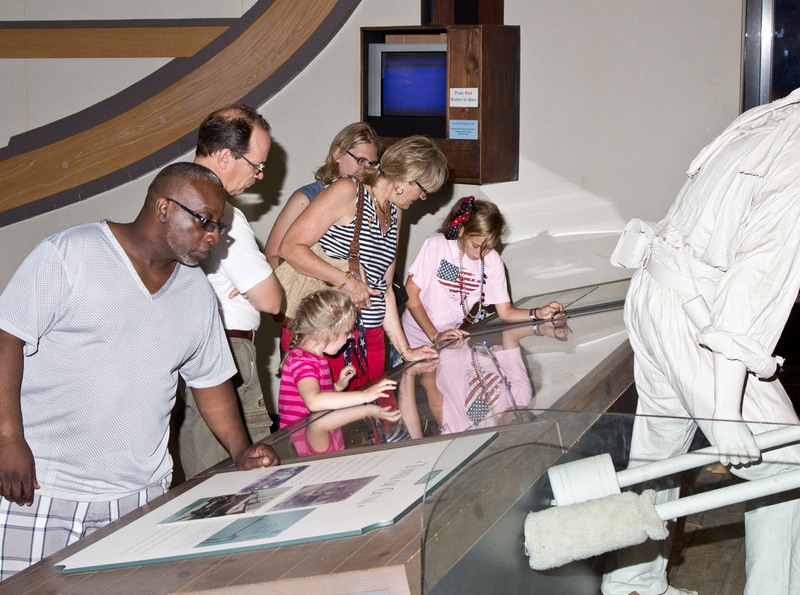 July 4: Independence Day-enjoy free admission, a free hotdog, and a tour of the ship. Perry 200 commemorative t-shirts will be available for $5. Museum open 9 am-5 pm (I'm guessing the hotdogs will be available sometime later than 9 am). July 4: Fourth at the Fort—living history programs, children’s crafts, readings of the Declaration of Independence and more. For details, go here. July 2: Civil War Roundtable Lecture-Capt. David Willmann, instructor at the Army War College and professor at the Naval War College, will talk about operational/strategic issues related to the Battle of Gettysburg. Check here for details. 7 pm. July 5: Registration deadline for Boot Camp for Kids—camp takes place August 3 and is open to boys and girls ages 8 to 13; go here for details and registration info. Photos from the museum's first Buzz Cut Saturday are here or you can watch video here. July 2-7: Reading Railroad Days—offered in conjunction with the Reading Company Technical & Historical Society, this program features an enormous HO-scale model train layout and highlights Reading Company rolling stock in the Museum’s collection. Included in regular museum admission; go here for more info. July 1-2: Extended Opening Schedule—with an expected increase in area visitation due to the 150th Anniversary of the Battle of Gettysburg, the State Museum will be open Monday and Tuesday (Curiosity Connection and Planetarium will be closed), 9 am-5 pm; they will be closed on July 4. Regular admission fees apply; adults who purchase an admission ticket will receive a coupon good for $2 off regular admission at the National Civil War Museum (now through Sept. 1). July 4: Fourth of July Celebration—Glover’s 14th Continental Regiment and other Revolutionary War-era living historians will be on hand to provide a window into the past; there will also be readings of the Declaration of Independence several times throughout the day on the steps of McKonkey’s Ferry Inn. Admission is $4 for ages 5-11, $8 for ages 12 and up. 11 am-3 pm.